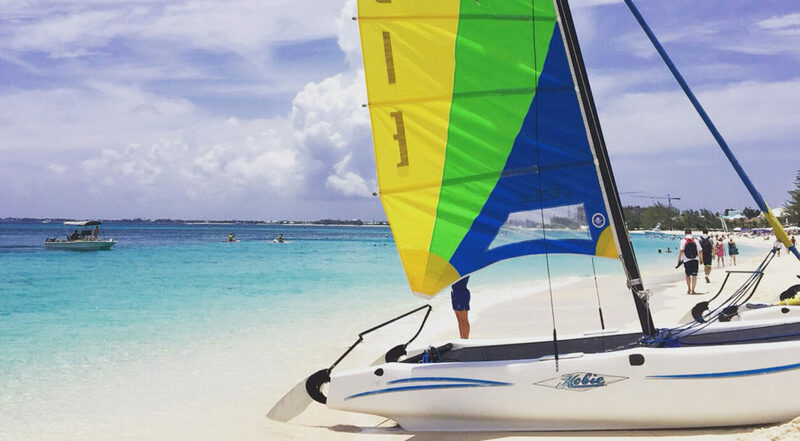 Grand Cayman is an island surrounded by the turquoise and emerald Caribbean ocean, so the view will generally always be incredible, wherever you dine. Here are some extra special dining locations that offer not only amazing cuisine but particularly brilliant views to match. 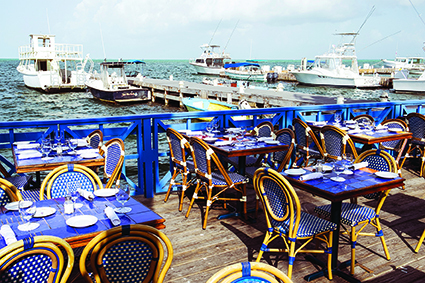 Calypso Grill is one of the most popular restaurants on the island and for good reason. The décor is uniquely Caribbean, the atmosphere is always relaxed and Chef George is a popular character in his own right, consistently serving up incredibly great quality food. Crab cakes, home-made pâté and sticky toffee pudding are house favourites. But the view is also exceptional, whether you are seated inside or out on the lovely airy patio. Nestled on the coast in West Bay in a rural environment where chickens freely peck and cows moo in the distance, the restaurant’s ocean view overlooking a quaint harbour, with boats bobbing to the swell and fall of the sea, is mesmerising. Take a short walk along the boat pier after your meal and breathe in the salty sea air. Restaurant locations don’t come any better. The casual, laid back elegance of Hemingways is as much an attraction for locals as it is for visitors. The gorgeous beach side location adds to the relaxed feel, while excellent choices for breakfast, brunch, lunch and dinner make this a busy and popular spot. Seafood is at its freshest and most succulent, desserts are to die for. Whatever you do, don’t miss this lovely dining location. In Camana Bay there are a good many excellent restaurants to write home about, but Ortanique has to be up there as one of the best. Located on the waterfront, Ortanique’s chefs are able to incorporate the freshest fish caught just a few hours before along with produce brought in that day by local farmers to create the best in Caribbean cuisine. For a memorable experience, check out their pig roasts, held only when the moon is full, located on Camana Bay’s own mini island. 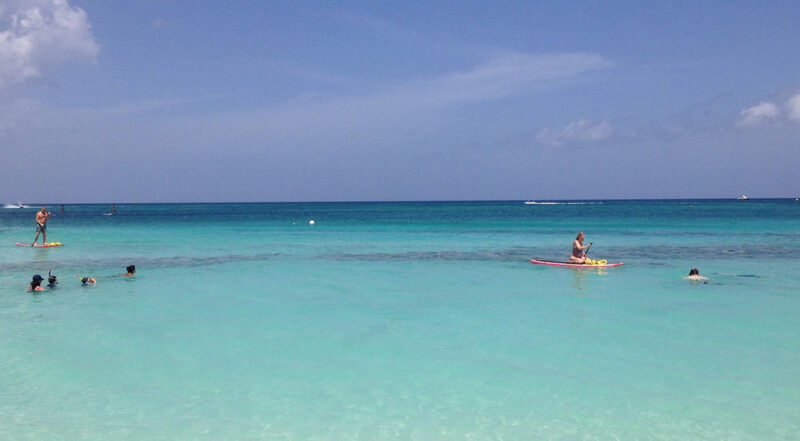 This is an experience that makes truly special vacation memories. Owner Delius and Chef Cindy are the dynamic duo behind this charismatic restaurant that you shouldn’t miss. 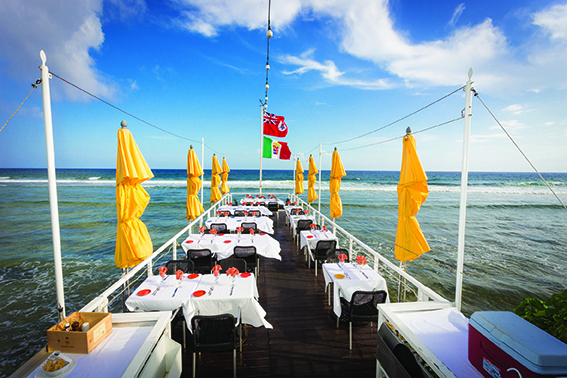 Head out east and you will come across an iconic sight at Breakers – The Lighthouse restaurant, a certificate of excellence holder for 2014 from TripAdvisor and a charming former lighthouse now restaurant serving Italian and other Mediterranean dishes with passion and flair. The restaurant’s amiable host, owner Giuseppe, otherwise known as Captain G, will make you feel right at home as he guides you to your table, where every diner has a wonderful view of the turquoise ocean before them. Breads, ravioli, pasta and desserts are all home-made. Enjoy their signature grilled seafood platter for two and you will truly believe you are in heaven. Another brilliant Italian restaurant with buckets of charm and an effervescent host is Casanova by the Sea, where owner/manager Tony will welcome you with open arms with true, Italian style hospitality. The view over the George Town harbour is lovely and the warmth of the service and deliciousness of the pasta always delight. Seaharvest restaurant and My Bar situated at diving resort Sunset House are true Cayman Islands legends, tucked away in South Sound. 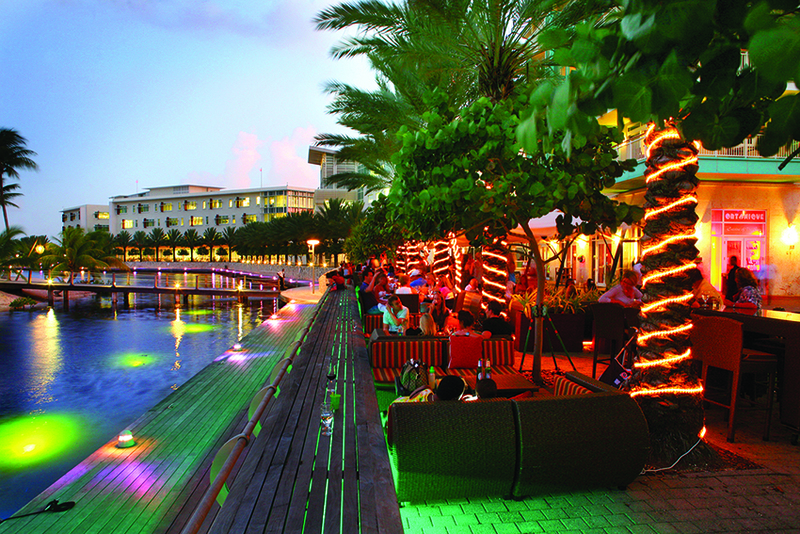 One of the most popular favourites among locals and visitors (especially divers) alike, My Bar is the perfect location to enjoy a cold beer or fruity cocktail while admiring Cayman’s stunning sunsets; the open air bar goes a little silent at this regular awesome evening sight. And watch out for the elusive green flash as the sun drops from view. Some say it’s lucky if you spy it! The neighbouring Seaharvest restaurant excels in Indian cuisine – biryanis, chicken tikka masala, lamb rogan josh, all cooked to perfection and to your taste (mild, medium or hot).